We are getting absolutely swarmed with emails of "did you see x in the trailer!" so lets do one of those good old fashioned episode followup style posts specifically for it! Head on down past the break for a whole bunch of notable pieces, from background characters to Twilight Sparkle not being a pony. Sadly there isn't an HD version yet, so the images are a little bit on the low quality side. We work with what we can get though! Yeah, that's about what happened in the post last night. 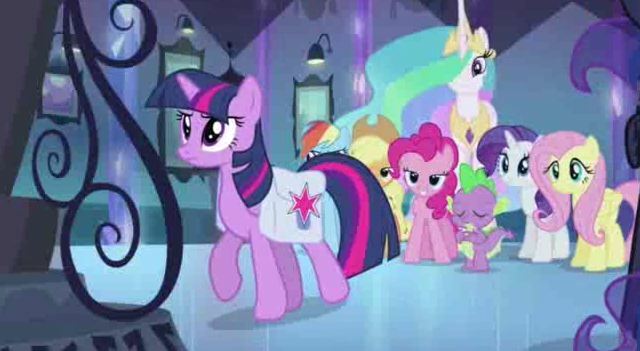 Technically that is similar to Octavia's cutie mark, which a bunch of you pointed out. Octavia's is Pink though. I'd call that debunked! Most of the humans match their counterpart's pony colors at the very least. We got a bit of Carrot Top in this one. Haven't a clue who the middle person is though. For whatever reason, a certain Friendship is Witchcraft episode pops up in my mind from this one. 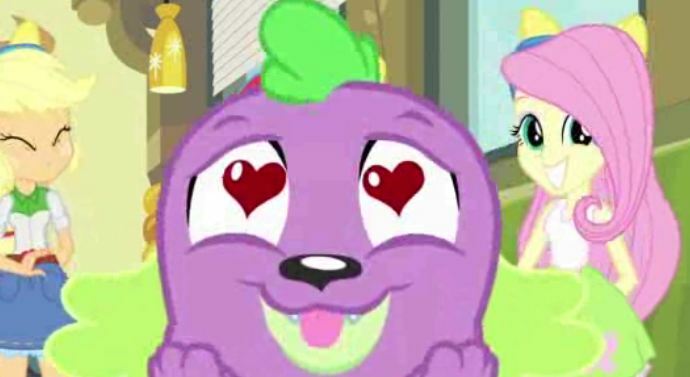 And then Twilight Sparkle had a potential love interest. I was afraid something like that was going to happen with the high school theme. Everyone's favorite nerdy pony is growing up and possibly getting a boyfriend =[. 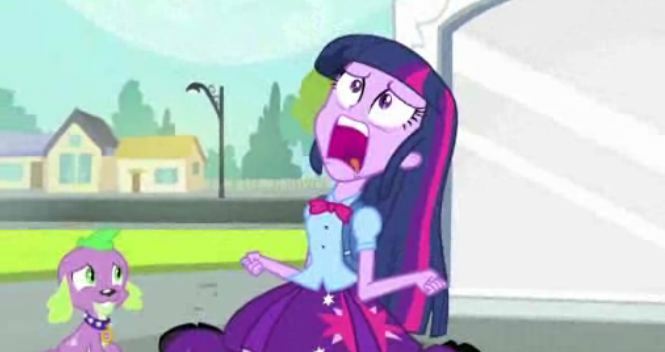 I'm sad too Twi... Husbandos everywhere just died a little inside. 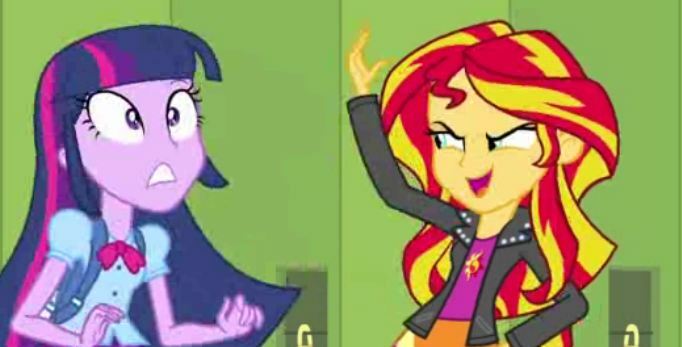 This is probably the main thing I'm interested in seeing in Equestria Girls. I've always been an advocate of dropping a tablet in front of Twilight filled with books and seeing her reaction, and I think this is the closest we are going to get. Adjusting to life as a purple monkey will hopefully bring out some cute moments! 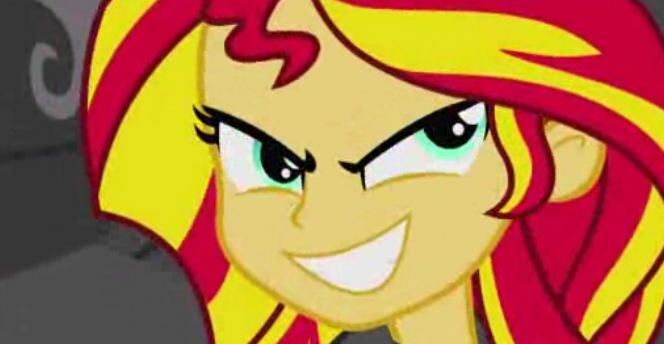 Sunset Shimmer was revealed a while back as a toy, with the ominous title of "Celestia's old apprentice". We won't know exactly what the break-off was initially caused by until this movie actually pops up in theaters. It's probably safe to assume we have our villain here though. She makes a damn nice pony! Lets hope we get some of that later in the movie. They have to return to Equestria at some point right? Queue the inevitable Vinyl Scratch DJ. What are these three doing in high school? And why is Scootaloo dancing like a chicken? Some of these facial expressions are pretty good. I'm glad the character models they chose are lending themselves out to that! And that about covers it! We can only stretch a minute out for so long. 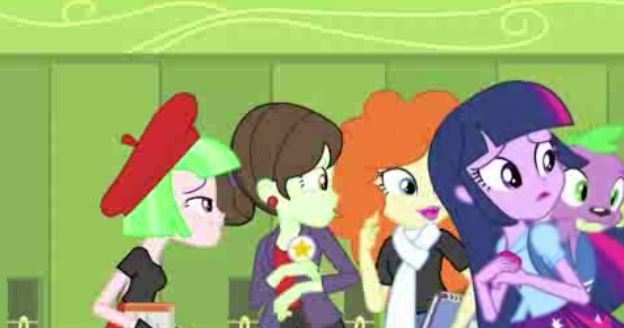 Equestria Girls was written and directed by the same people that we have come to know and love through the normal pony show. If anyone can make this work, it's them. Expect the usual zany background humor combined with high quality animation and fun one-liners. This includes the music, which Daniel Ingram has already labeled as "Off the Hook". 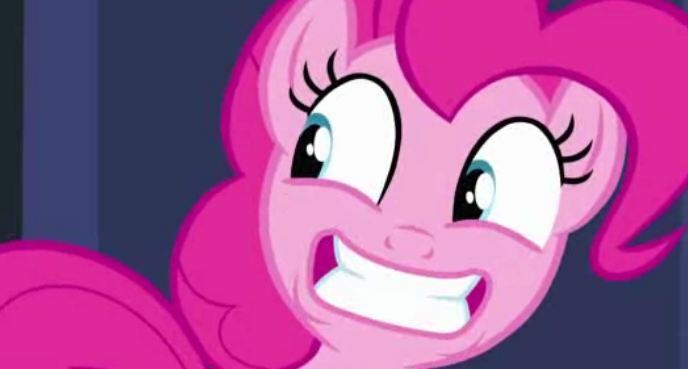 If the humans are scaring you, just listen and pretend they are ponies! Equestria Girls is completely separate from season 4. 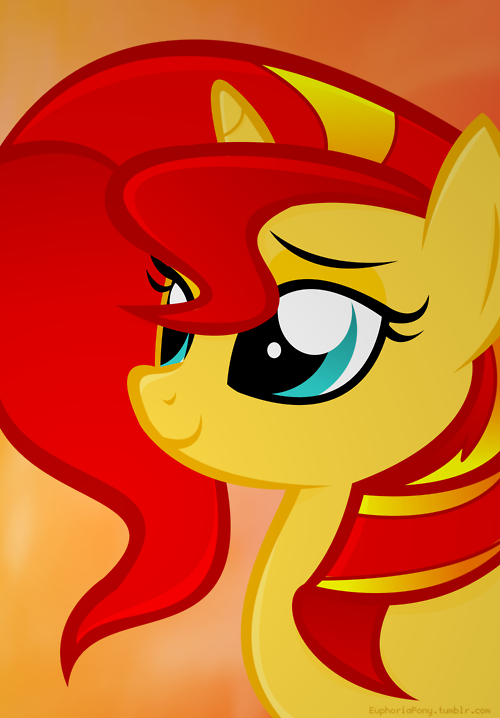 The ponies will return to ponies when the official series starts up again this winter. It is inevitable that we are all a little disappointed that our favorite show's first movie outing isn't actually starring equines, but I wouldn't completely throw it off the bridge just yet. The mane (or main in this case) 6 appear to be running with their usual personality types, and so far most of the information popping up is pointing at this being a completely separate event to the actual show. 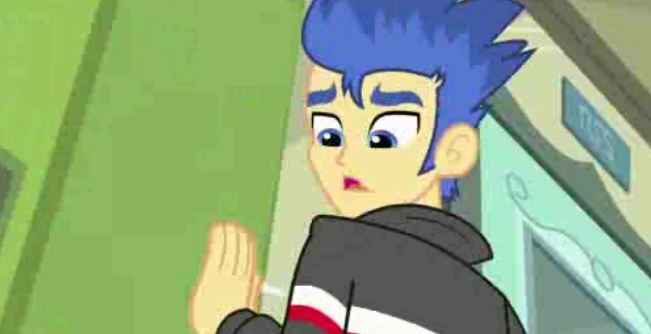 If Twilight has a boyfriend in the first episode of season four, you are all welcome to go nuts with me. Until then, lets turn down the knob on the freakout meter a bit. 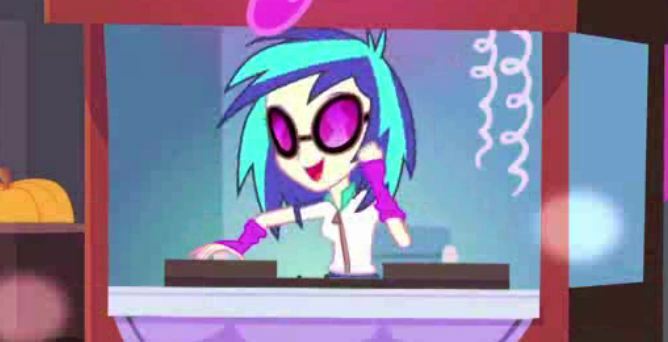 At least she didn't turn into an Alicorn because of her Midi-clorian count!